In the body of Christ, the voices of the small and suffering need to be heard more clearly. By listening more intently. We need to hear from the small, not just the big. From the poor, not just the rich. From the weak, not just the strong. From the failures, not just the successes. From the struggling, not just from those who have overcome. From those who are still vulnerable, hurting and who will soon be hurt again. Their voices need to be heard, not just by others who are small, but those who are big. The privileged. Whether they realize their privilege or not. I know I don't see mine. It's not a voice of complaint – though there will be some of that. Or a voice of pleading – though help may be needed. It's a voice that needs to be heard. Don't offer arguments, explanations or excuses. Or even answers. At least not yet. Listen to the voices of those who need to overcome their fear just to open their mouths and be heard. To voices that cry in anguish, that yell in anger. Voices that say inappropriate things, because it comes bursting from their chest in an explosion of rage, hurt, frustration, sorrow, but maybe most of all – of needing to be heard. In the body of Christ, of all places, smaller voices should receive a willing, sympathetic audience. But too often they do not. Instead, their voices are often drowned out by the bigger, louder, more successful parts of the body. The big over the small. The wealthy over the poor. The older brother over the younger brother. 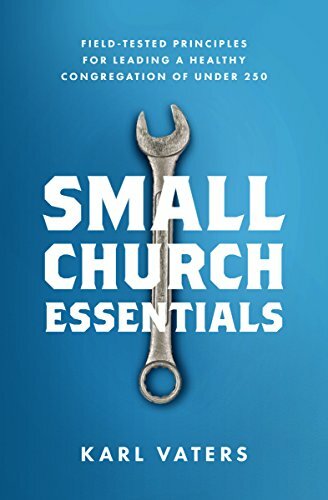 As a small church pastor, I try to speak for one segment of the small and unheard. But the truth is, I'm one of the big. One of the wealthy. One of the privileged. I have a voice. A loud one. On a platform. A big one. Starting with this blog. So I too will try to listen. To hear without interrupting. To help without condescending. To learn. In our size-, wealth-, and fame-obsessed world (including our church world) we need to slow down, stop talking and start paying attention to those who are crying out from their hurt. And to those who have given up so long ago that their once-loud voices have gone silent and forgotten. The voice of the victims of ecclesiastical abuse. The voice of the forgotten inner-city poor. The voice of the senior citizen whose church is changing in ways they don't understand. The voice of so many others who will have to go unnamed in this post, but hopefully will not be unknown any more.